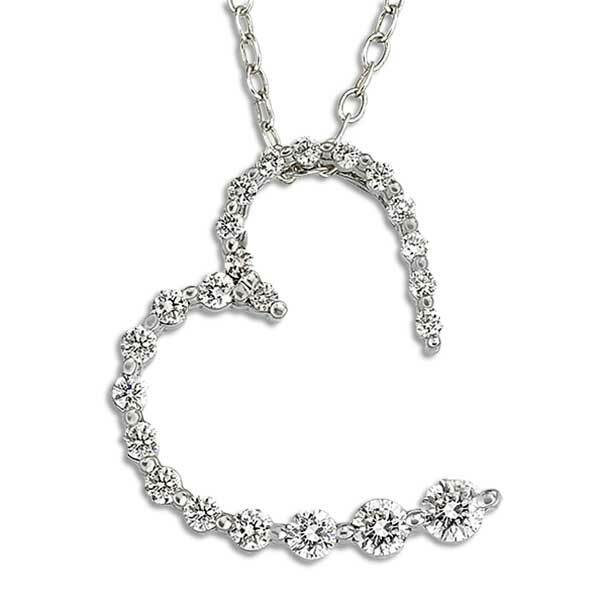 This magnificent diamond heart journey heart shape pendant features 13 round brilliant cut diamonds set in 14k white gold, graduating in size from smallest to largest. 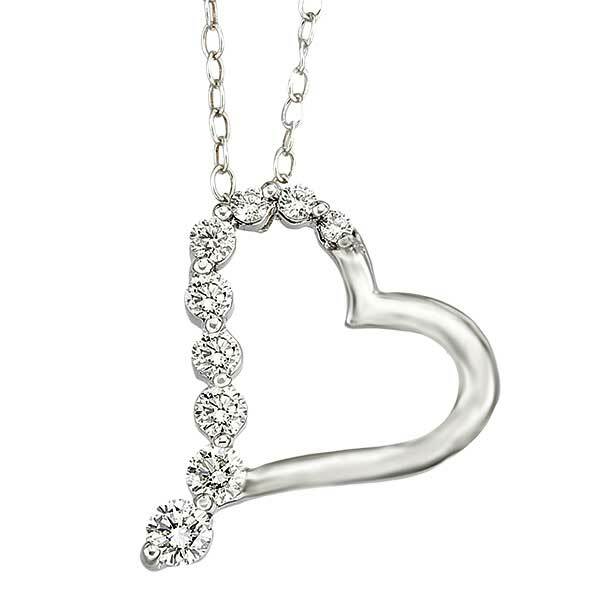 This Pendant is available in Platinum, 14 or 18 karat white gold and available in all chain sizes. The chain is not included.